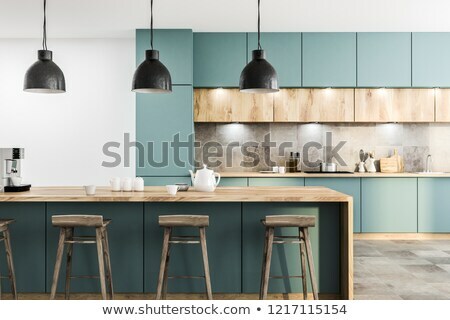 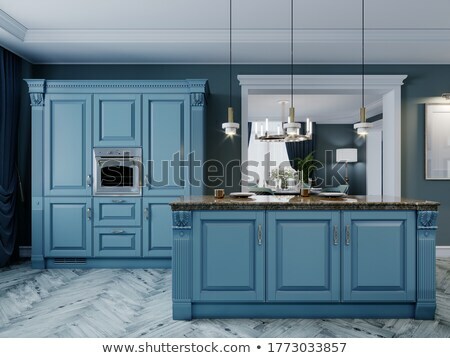 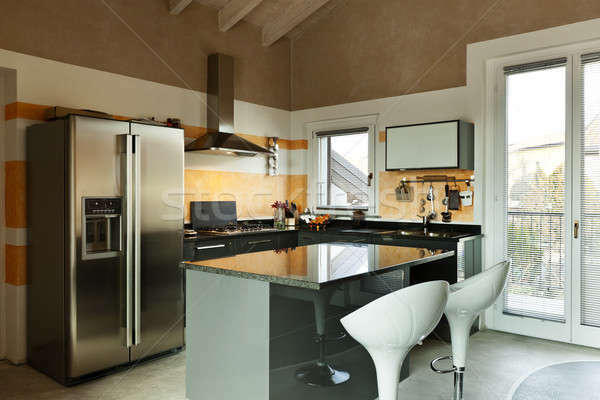 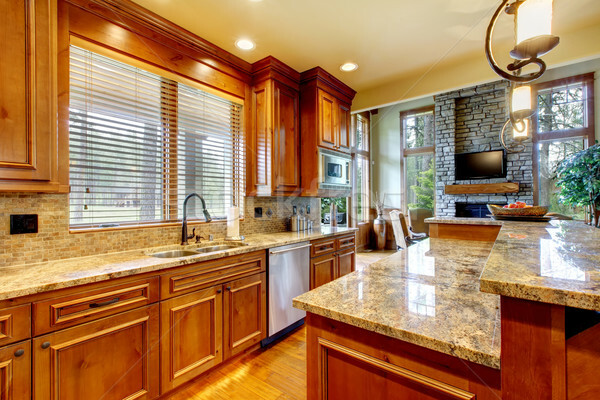 Luxury wood kitchen with granite countertop. 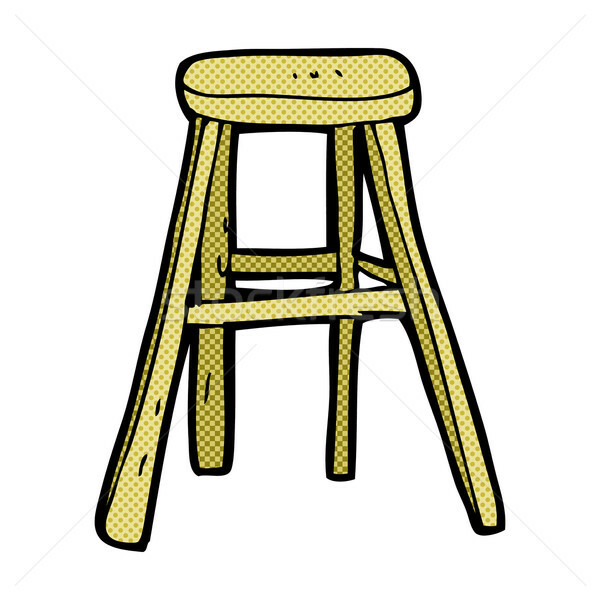 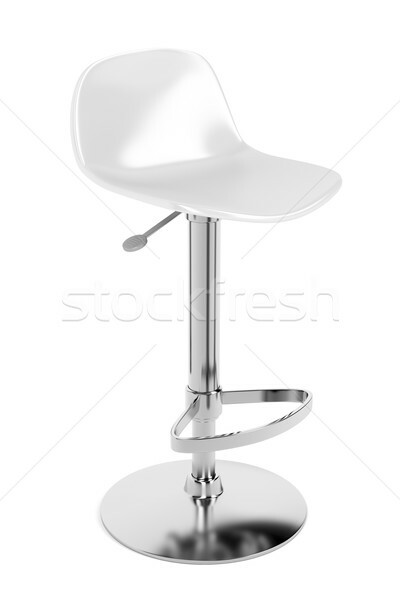 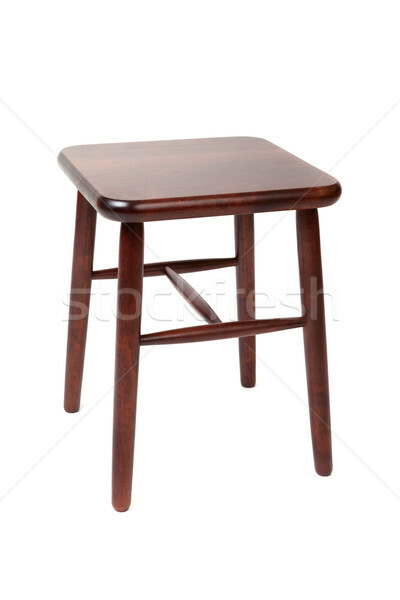 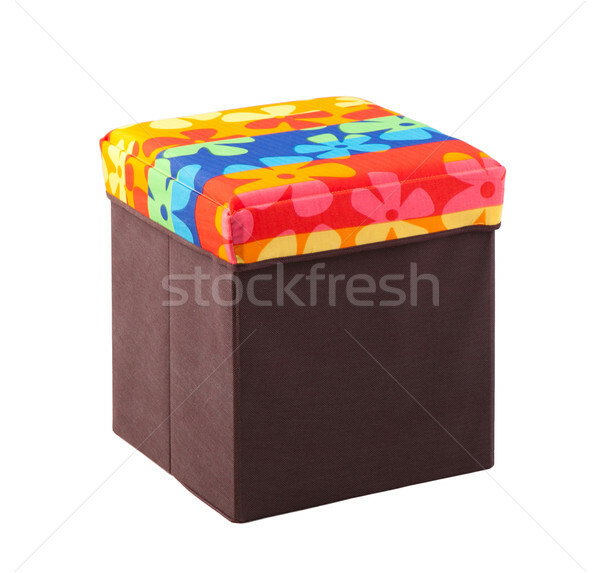 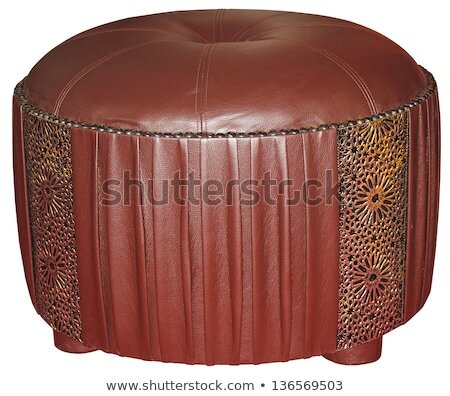 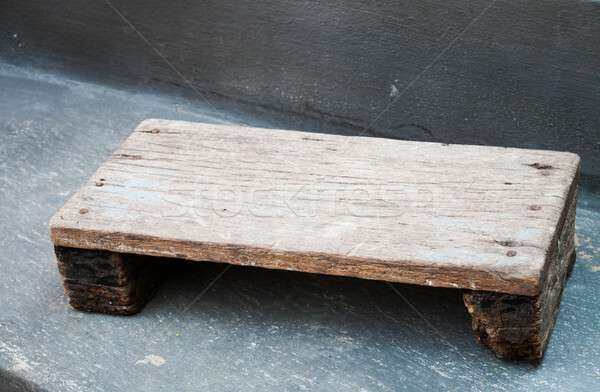 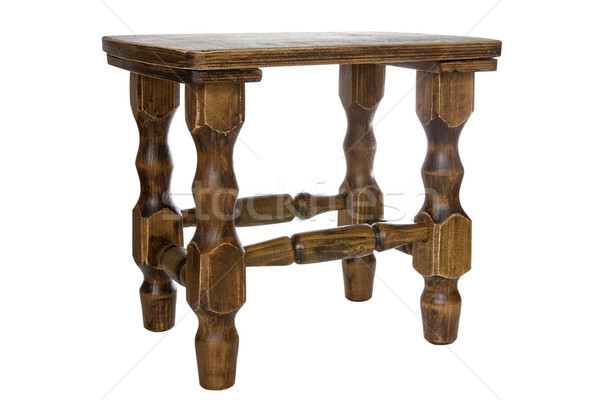 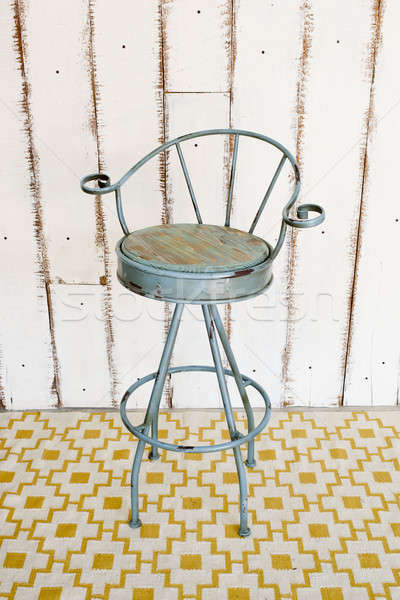 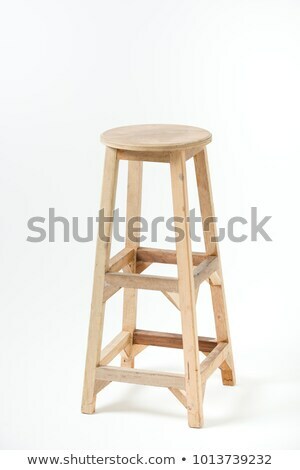 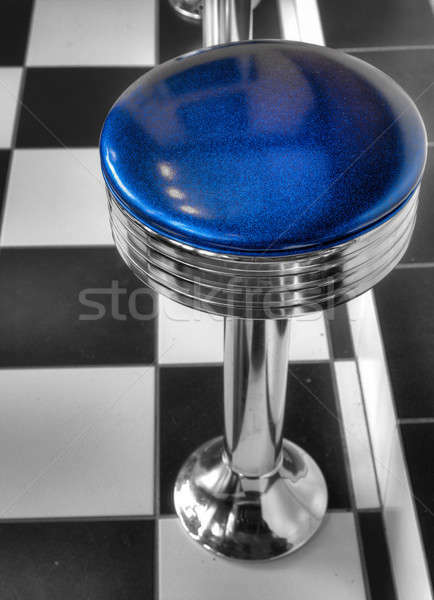 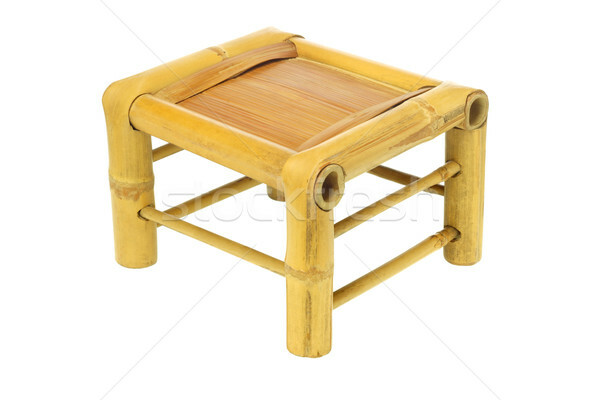 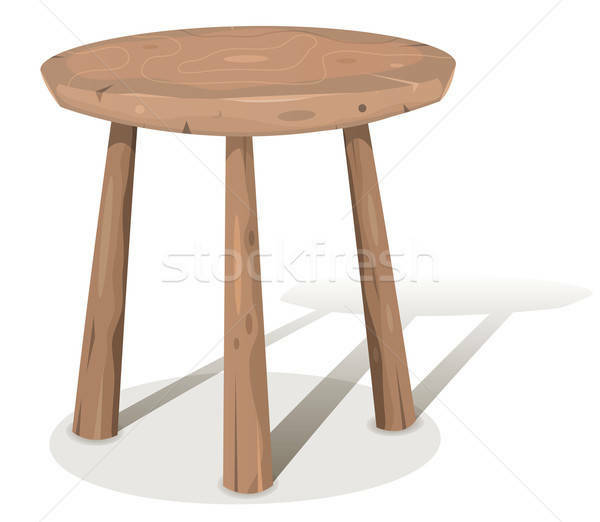 Vintage stool with white wooden background. 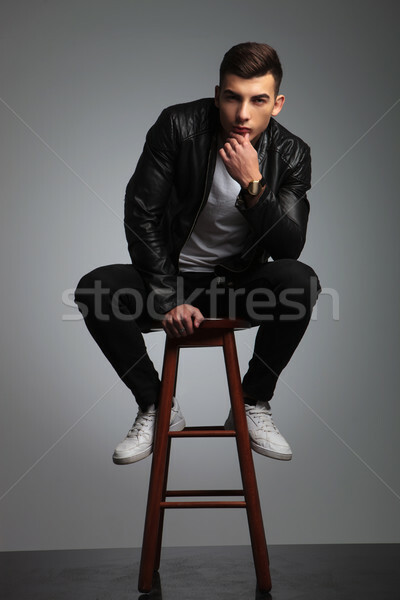 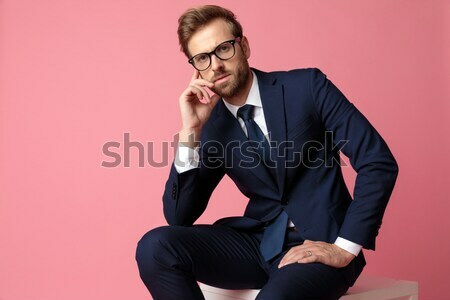 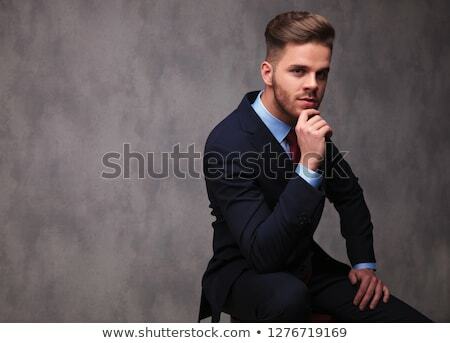 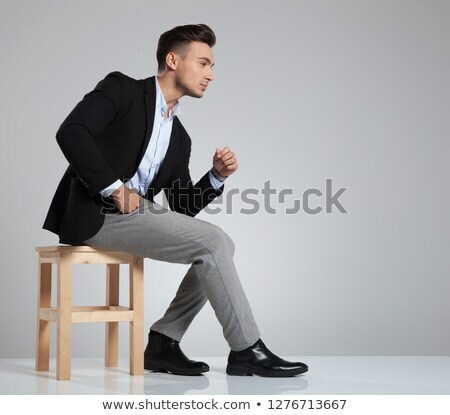 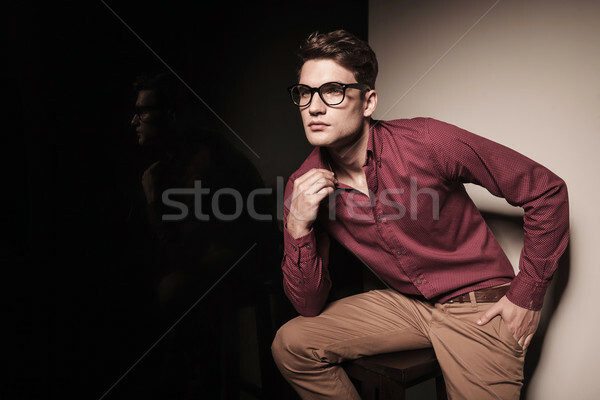 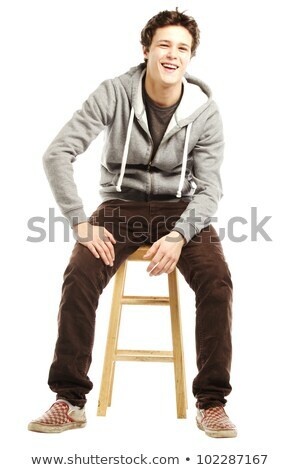 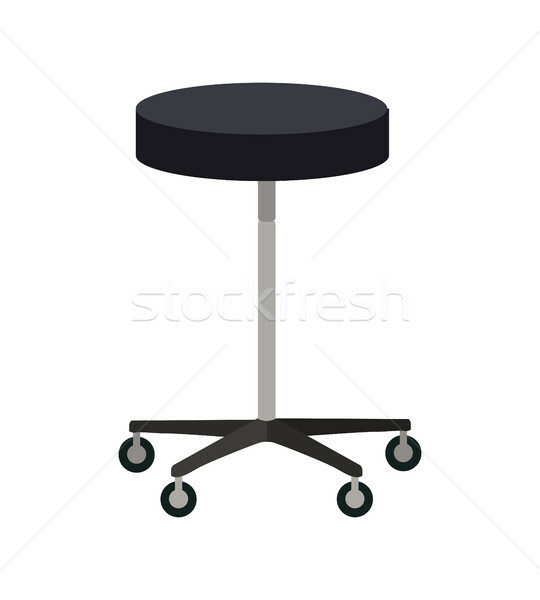 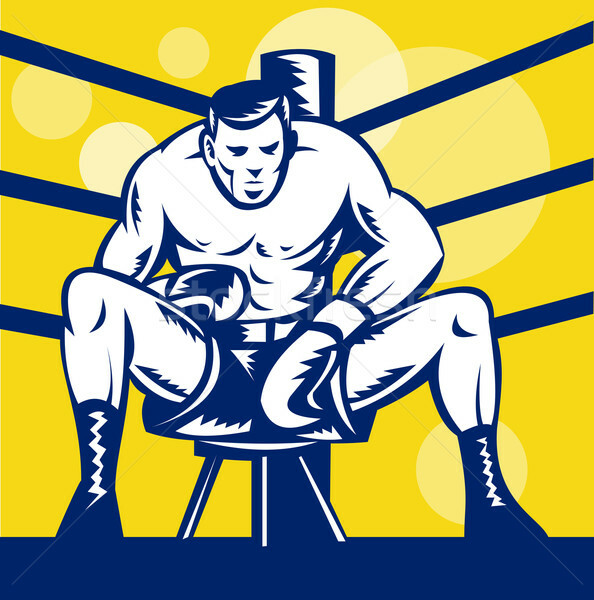 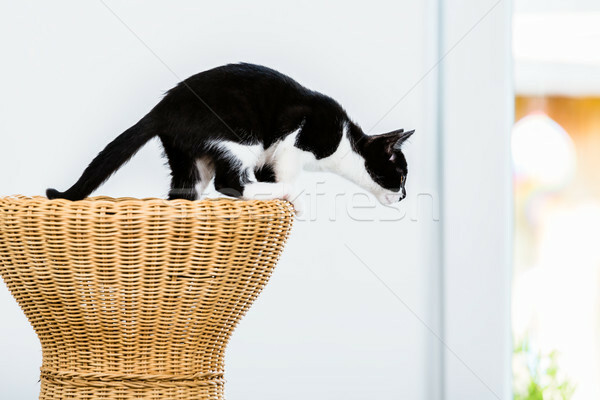 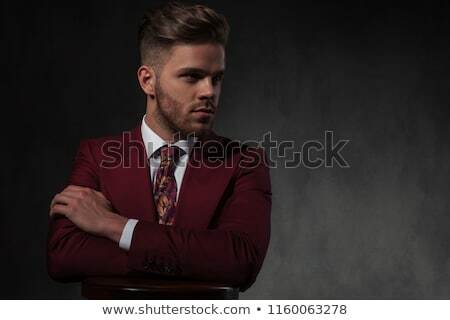 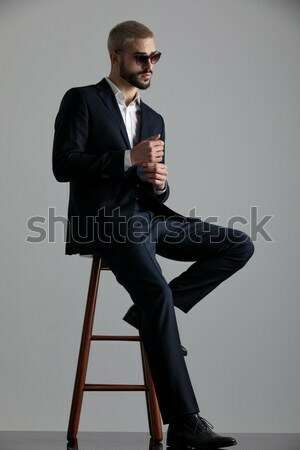 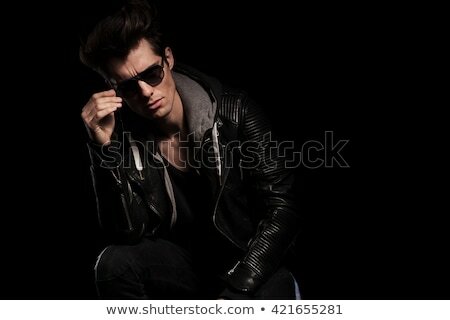 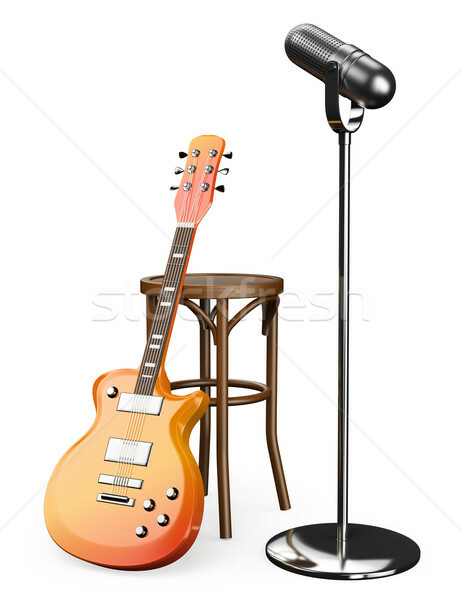 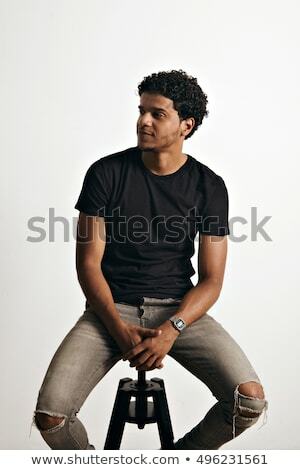 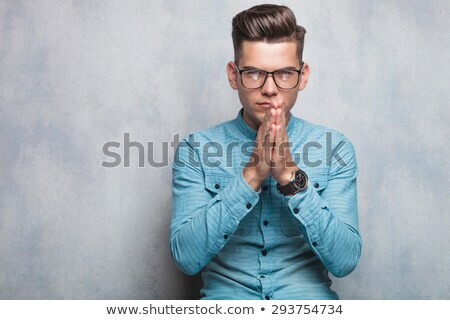 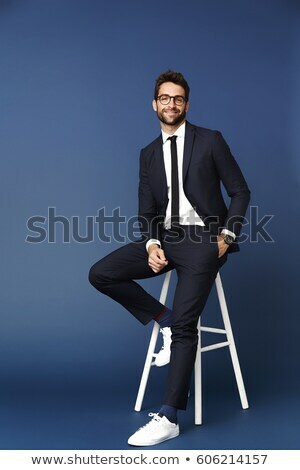 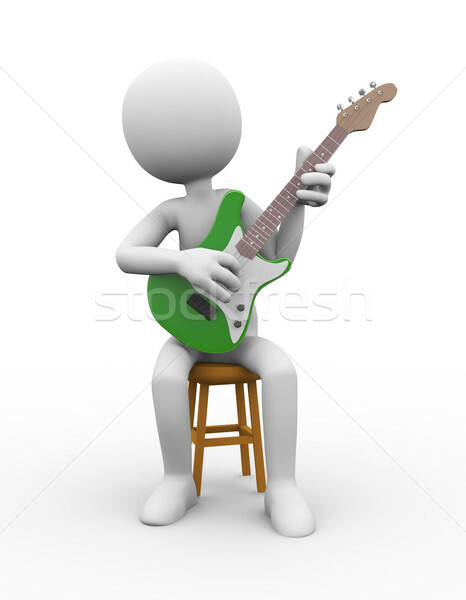 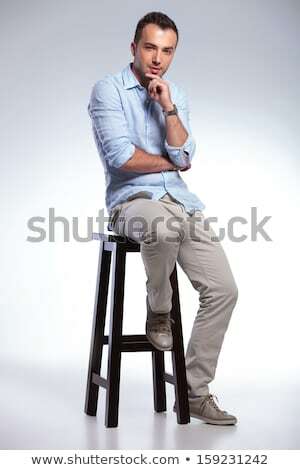 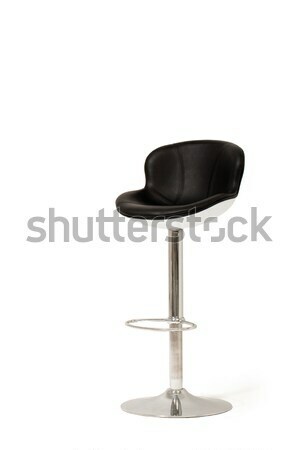 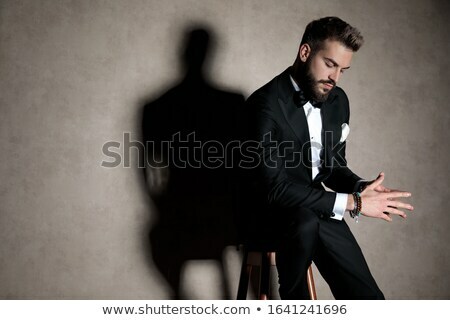 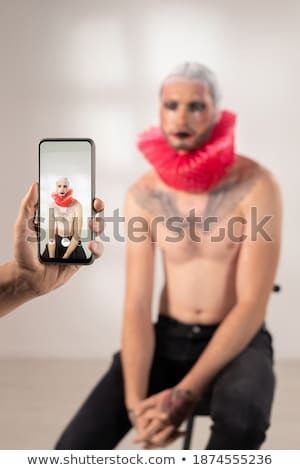 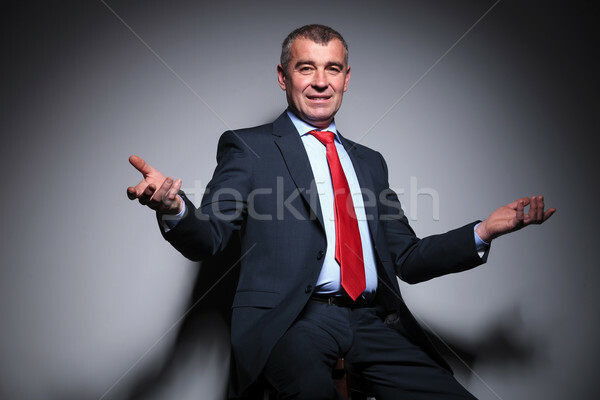 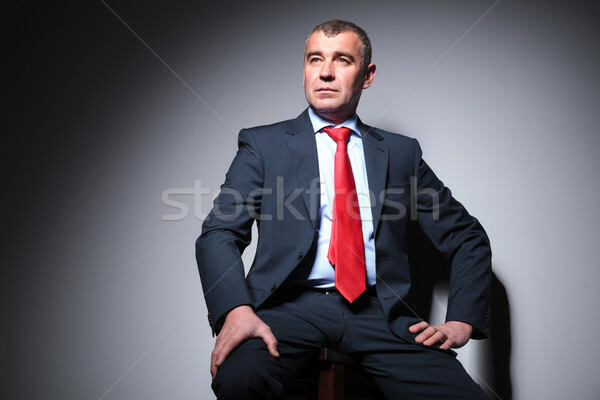 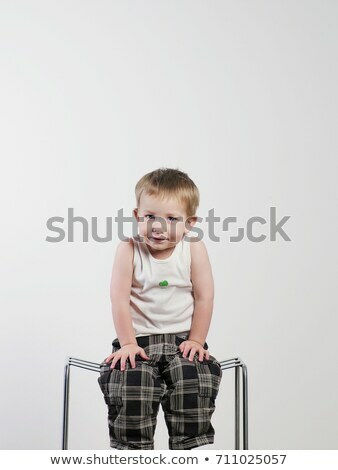 business man sitting on a stool, against grey background. 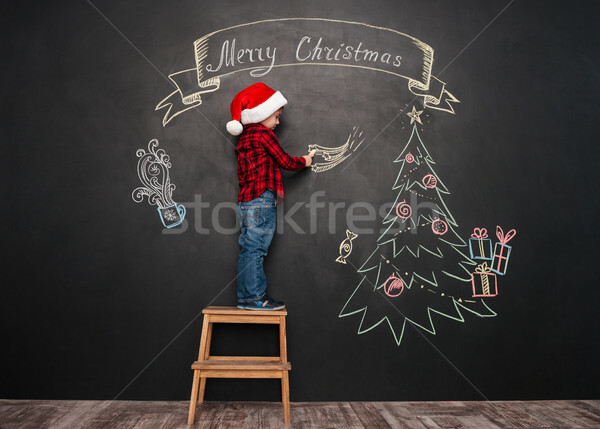 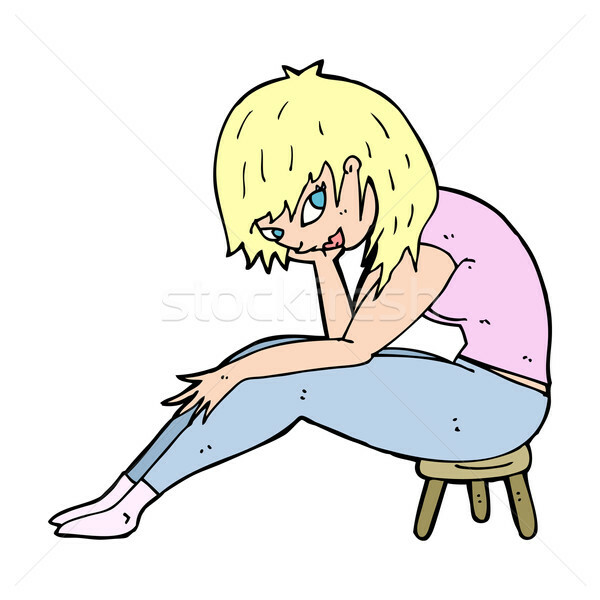 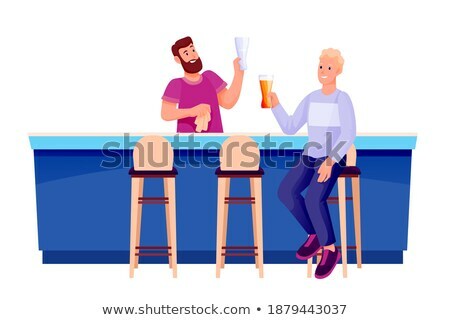 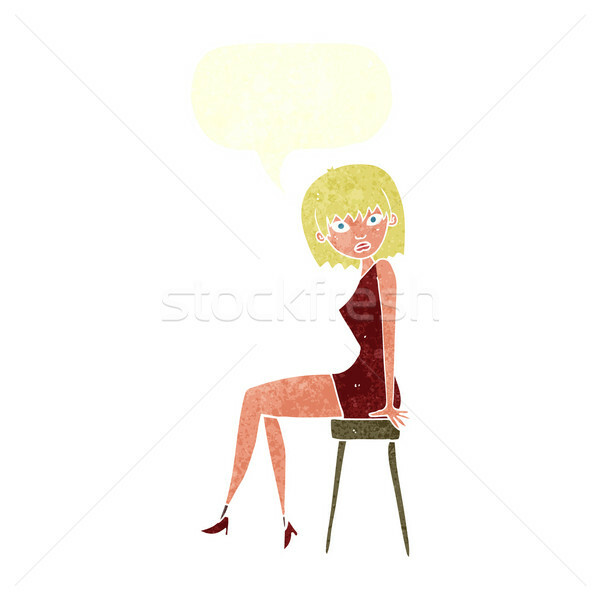 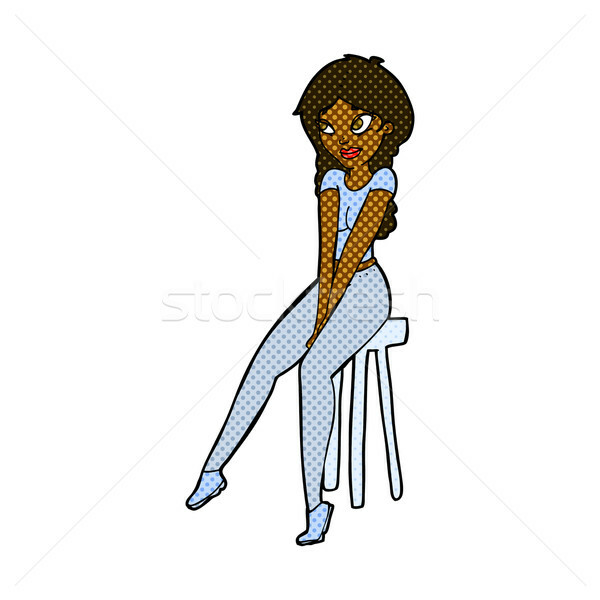 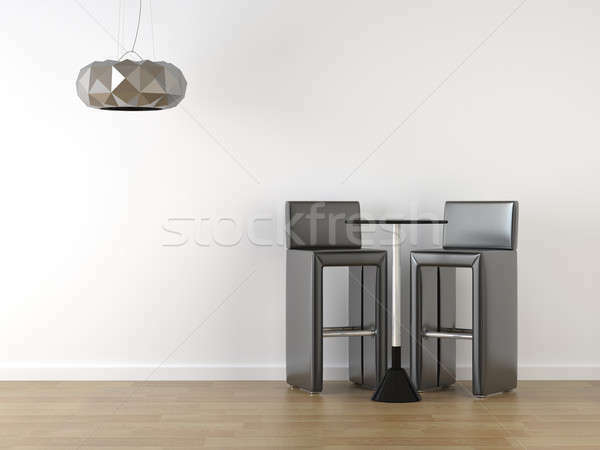 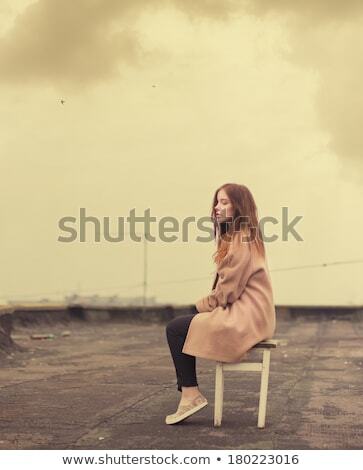 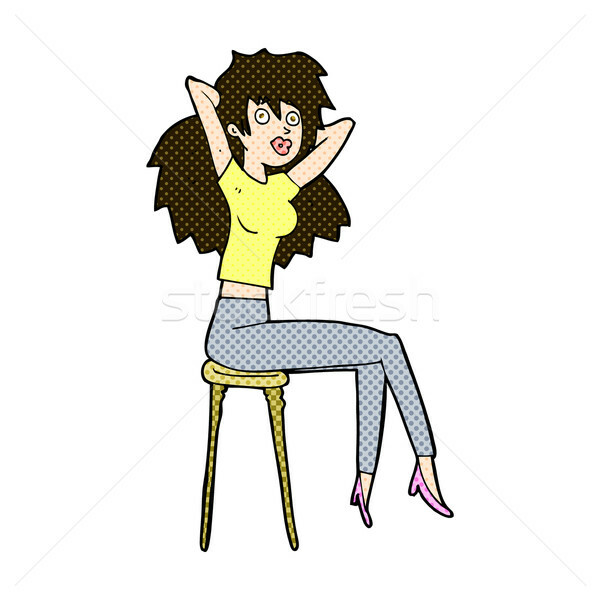 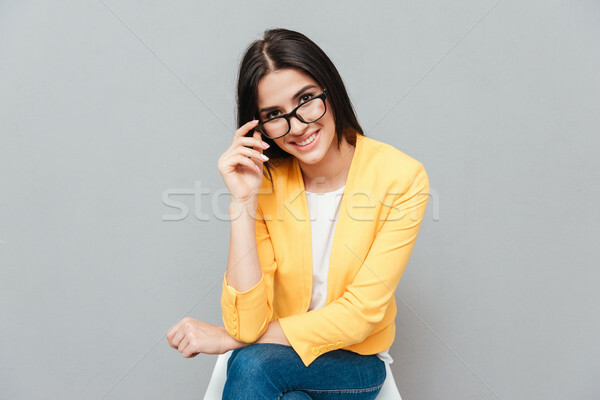 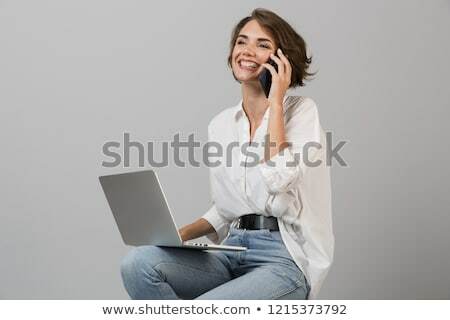 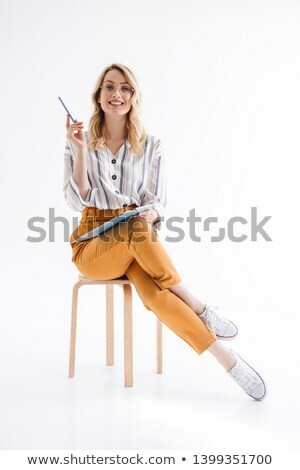 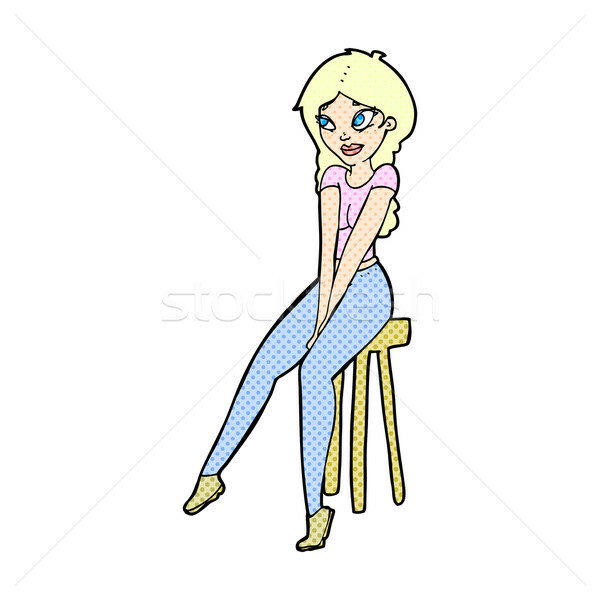 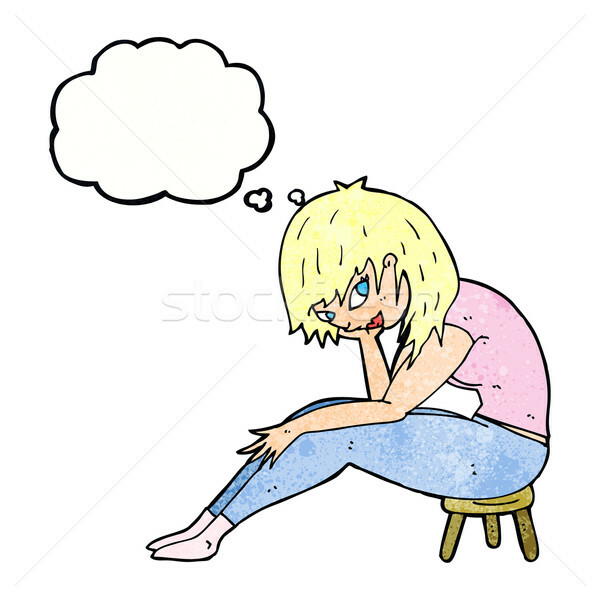 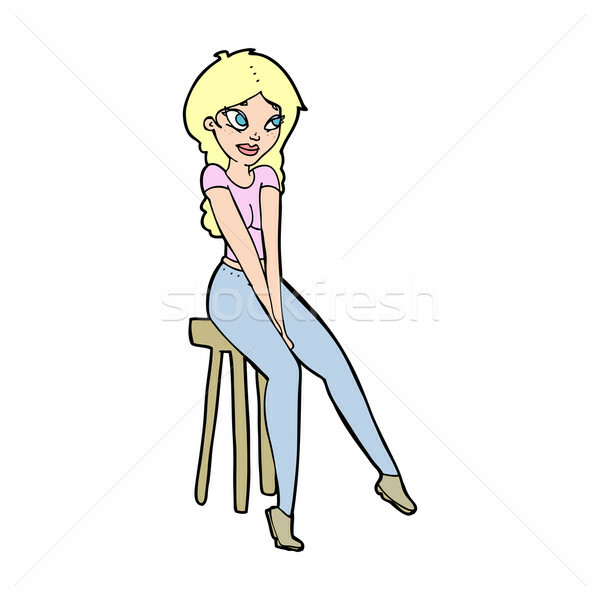 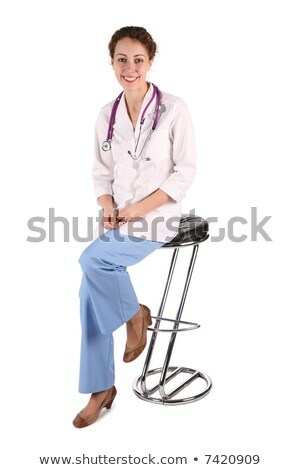 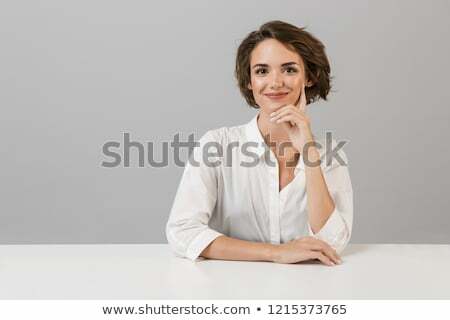 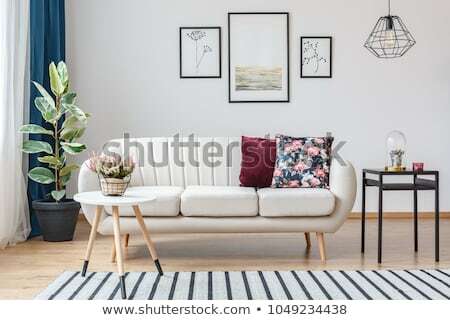 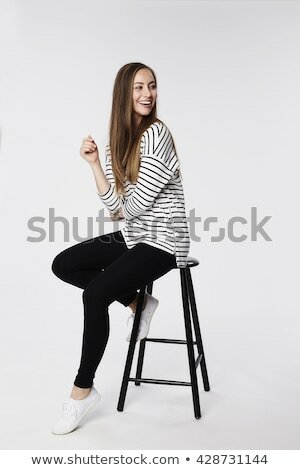 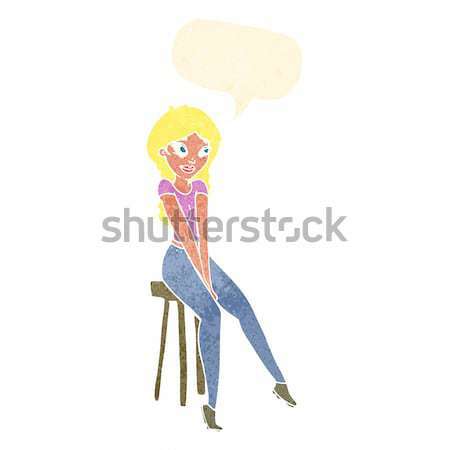 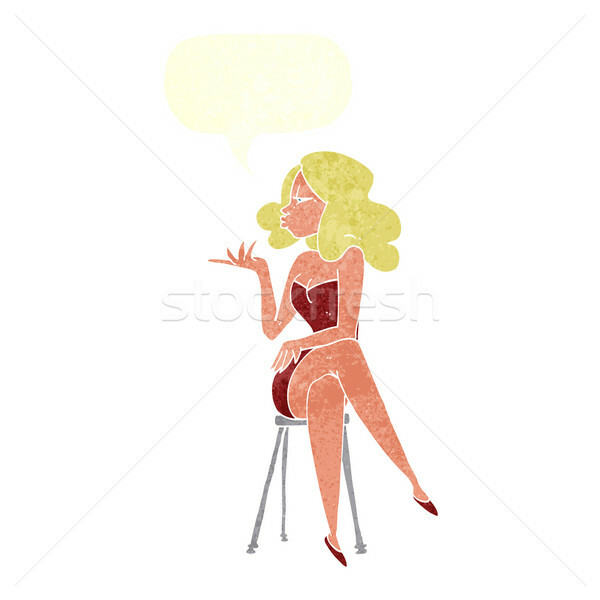 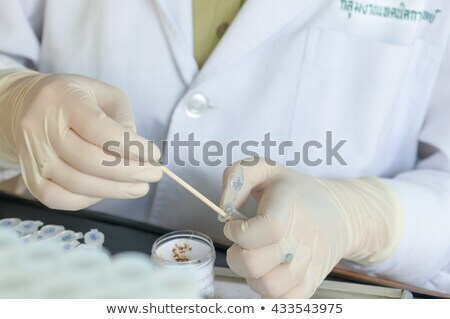 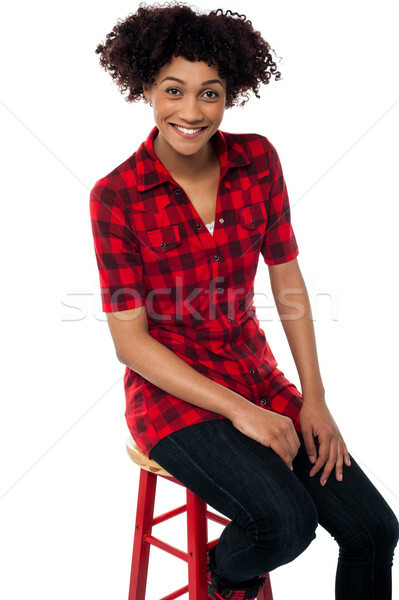 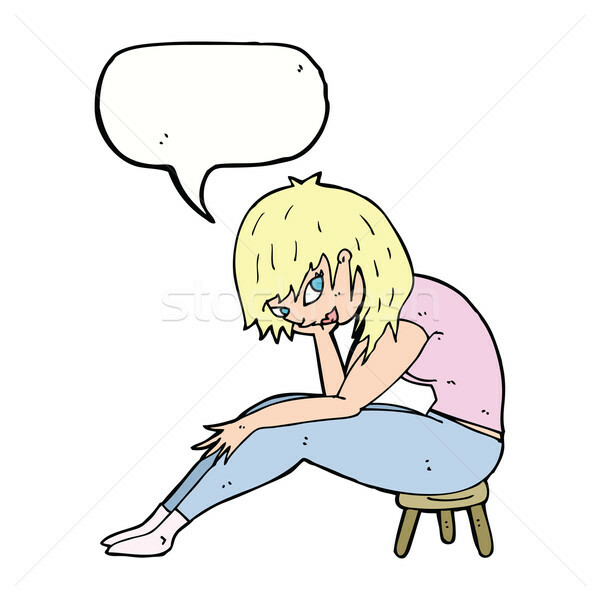 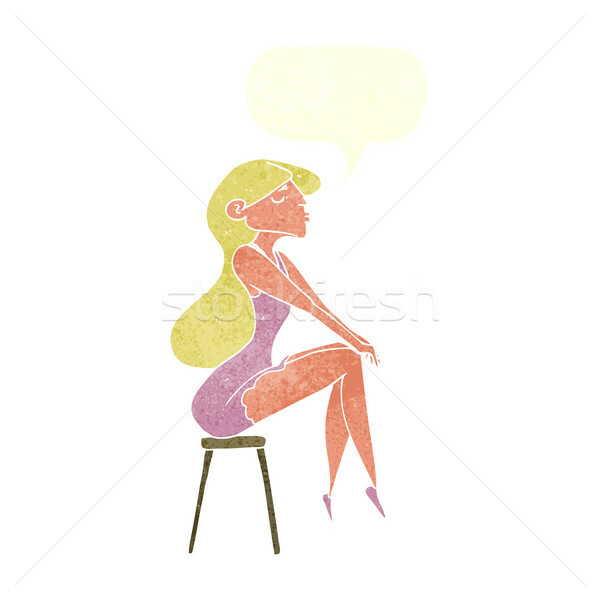 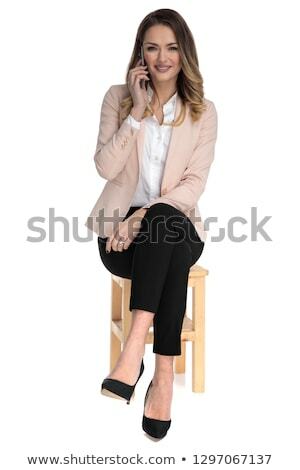 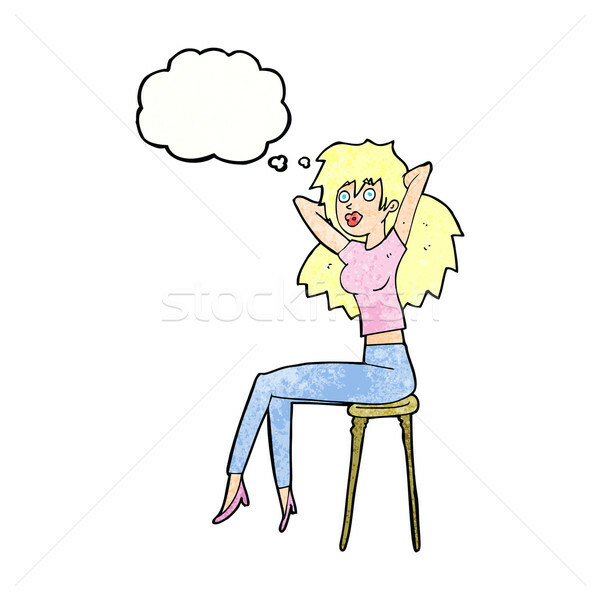 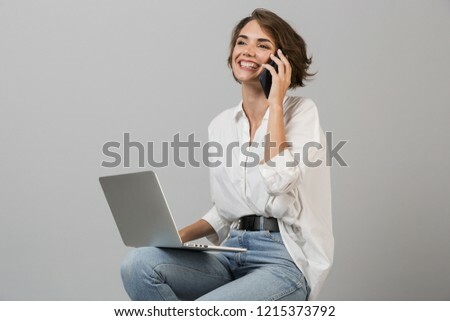 Happy young woman sitting on stool isolated over grey background holding newspaper reading.